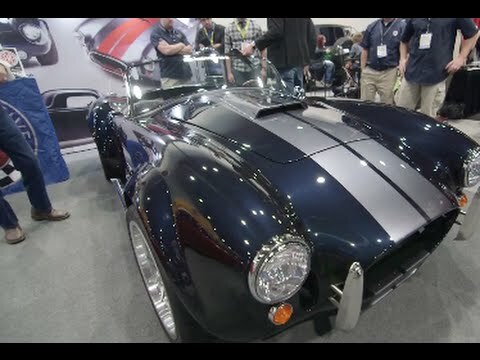 This is a Factory Five Mk4 Roadster built with a 800+ HP Edelbrock supercharged Ford 5.0L Coyote engine. This is a gallery of the new Mk4 frame as if it had just came out of powder coating. This Mk4 Roadster was built to display at the 2013 SEMA Show in Las Vegas. The SEMA 2013 Mk4 was photographed by Dino Petrocelli. Here’s a collection of shots of the 289 Roadster taken outside and in our showroom. The 20th Anniversary Mk4 Roadster is the best car we’ve ever built. Power Automedia talks with Cherie, Nan, and Karen about the All-Women Mk4 Roadster build on “Detroit Muscle”. Learn more about this Special Edition Mk4 celebrating our 20th Anniversary.